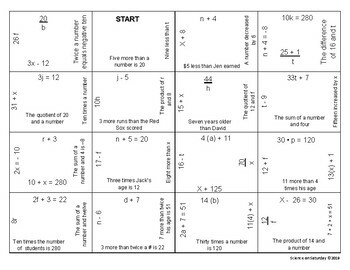 A fun way to check your students' understanding of equivalent expressions and equations. 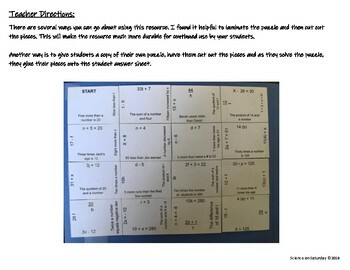 This activity would be a great addition to your math centers. 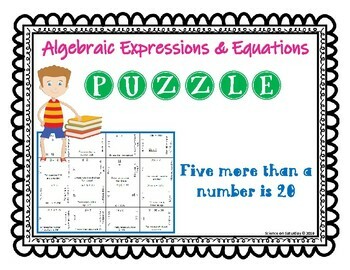 Students work to find equivalent expressions and equations to complete the puzzle. 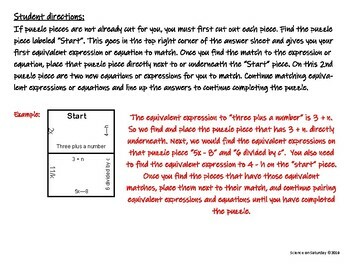 This is a self-checking activity...if students cannot find the puzzle piece containing what they believe to be the equivalent expression or equation, they know they’ve made a mistake, and must re-think the problem.